Virtua topped off its $23 million health center in Camden, with health system officials and politicians signing the final steel beam to be put in place. 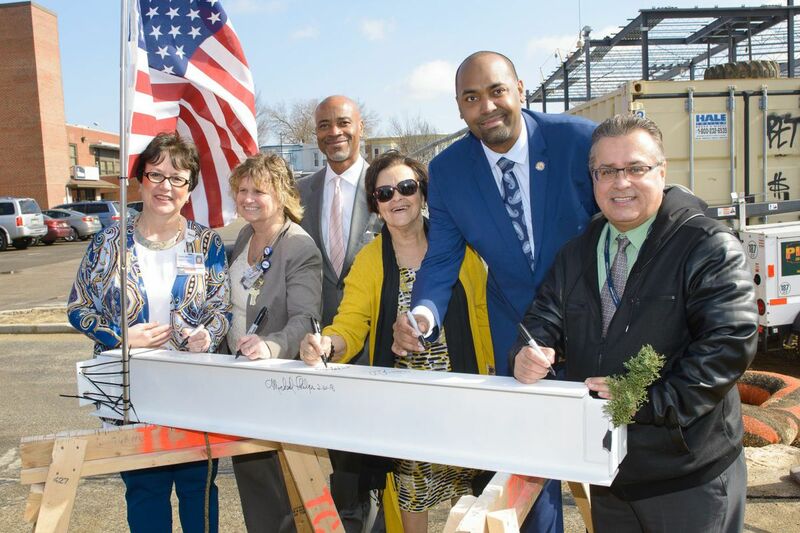 Virtua on Thursday celebrated the ceremonial signing of the final beam at the new health and wellness center the nonprofit health system is building on its Camden campus at a cost of $23 million. The 34,000 square-foot center will include family medicine, an emergency room, specialty care services, dental, podiatry, physical therapy, laboratory, and conference and education rooms, Virtua said. The facility is being built on Virtua's campus, which is about a mile south of Cooper University Health Care.